Nestling in a narrow gulley on the western side of the River Camel estuary, Padstow is sheltered from the prevailing winds and the air is generally soft and balmy. There you’ll find a great mixture of houses, quays, boat slips, inns, cafés and restaurants, gift and craft shops, holiday cottages and food shops, banks and the like. 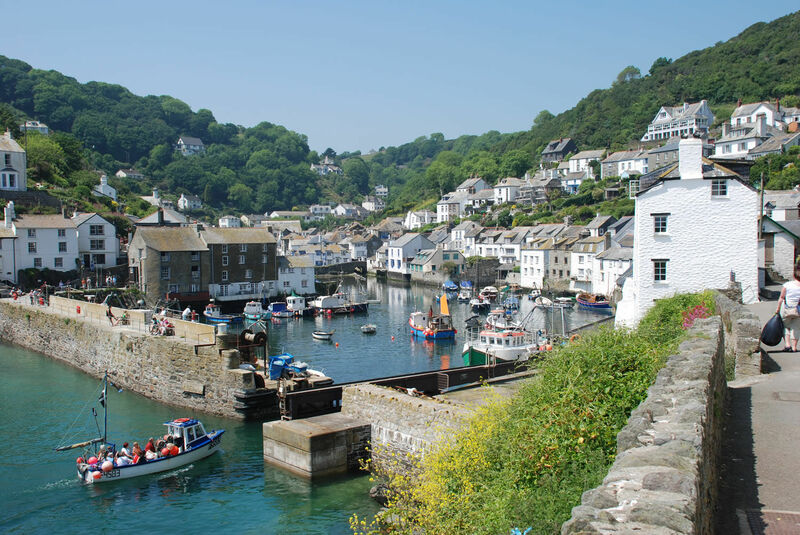 The harbour is clearly the strongest attraction in the town and visitors find themselves drawn to it like a magnet. Fishing and pleasure craft rock side-by-side on their moorings, children fish for crabs from the harbour wall, quayside inns and cafes overlook the calm water. There are seats all around the harbour and because there’s always something going on and it’s such a restful and interesting place it’s a favourite spot for both locals and visitors. Walk or cycle the Camel Trail toward Wadebridge, take a stroll along the estuary footpath toward one of several sandy beaches or take the ferry across the river to Rock. 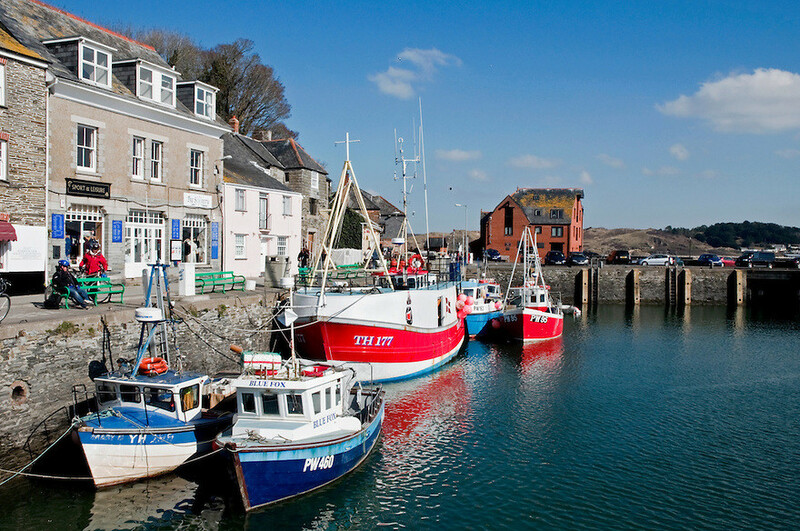 There’s something for everyone and for all tastes in Padstow and the surrounding area. 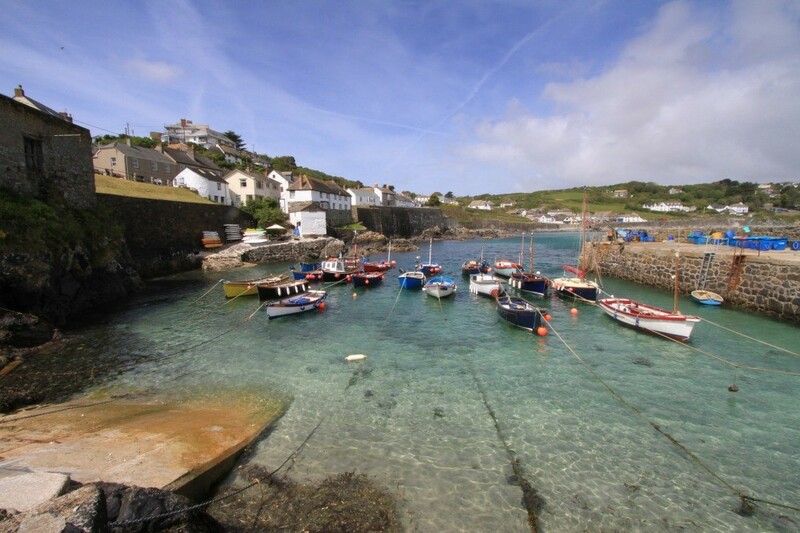 The natural beauty of the area – its rugged coastline, sweeping sandy beaches, quiet coves and fabulous walks, is probably its main attraction. But there is much more to do and see. At the centre of all activity is the harbour. Brass band concerts are held regularly, visiting entertainers often perform on the quayside, fishing and pleasure trips depart from there and much social activity is conducted from the harbourside cafes, restaurants and pubs. Visitors to the area can treat themselves to a wreck, reef or bottom fishing trip or a fun-for-all-the family mackerel trip out in the bay. Or try a high powered speedboat trip or more leisurely cruise aboard the Jubilee Queen for a trip along the fabulous coastline. If dry land is more your scene there’s the National Lobster Hatchery where you can discover the fascinating world of lobsters and their environment. 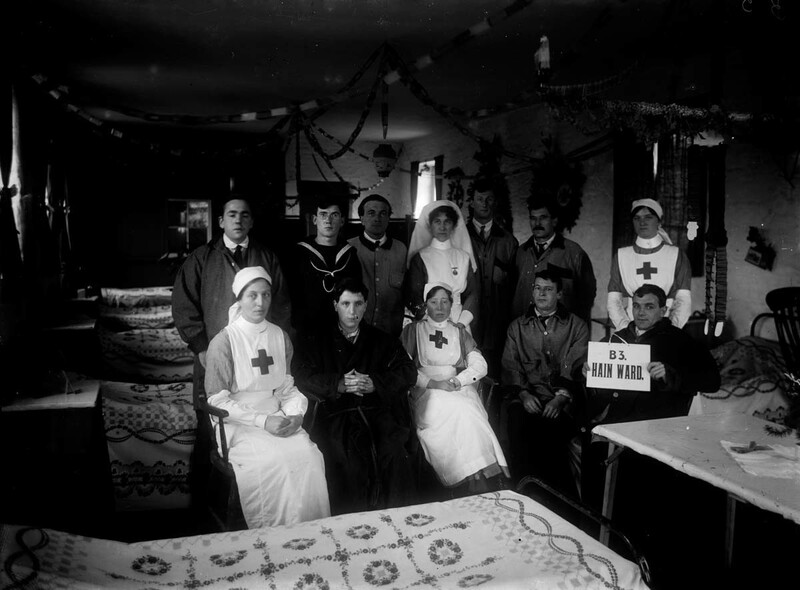 Then there’s the Padstow Town Museum where you can step back in time and discover the history of Padstow through its Obby Oss, Railway and Lifeboat displays.